Employee Health & Happiness lives at the intersection of employee's personal goals and employer's financial ones. Recruiting, developing, and retaining talent is no longer enough to remain competitive. Companies now have to find a way to keep their employees, healthy, happy, and engaged. 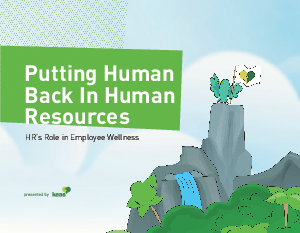 This shift means that Employee Wellness is now part of the Talent Management Lifecycle and HR has to shift their role from Human Capital Management to Chief Wellness Officer.